Peter Pan was one of Walt Disney’s most personal projects. The Disney brand is synonymous with childhood, so it only makes sense that the story of the boy who never grew up would be synonymous with Walt as a person. He performed as Peter in a school play as a boy, and initially sought to make a film adaptation as his studio’s second full-length feature following 1937’s Snow White and the Seven Dwarfs. 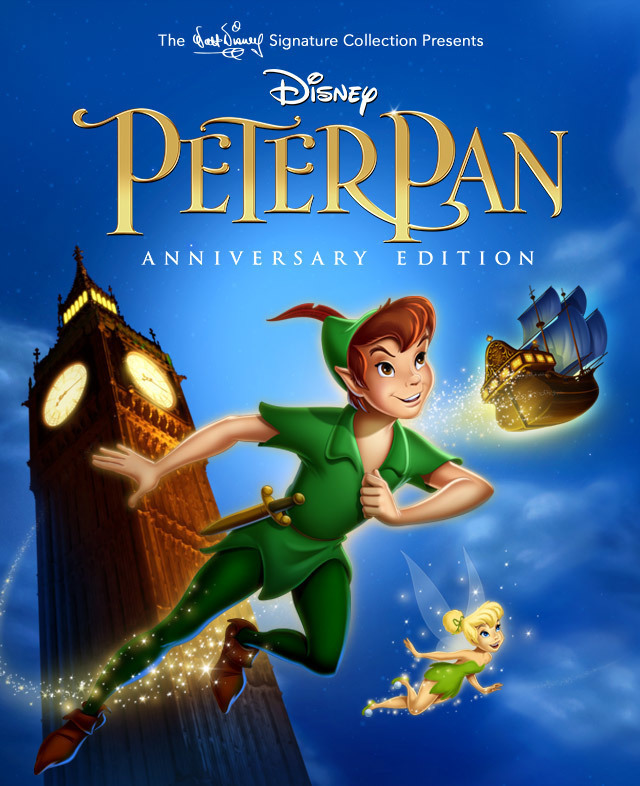 Finally releasing in 1953, Peter Pan was ultimately Disney’s fourteenth animated picture and remains a beloved cornerstone of the studio to this day. A new anniversary Blu-ray edition inducts the film into the Walt Disney Signature Collection, a trove reserved for Walt Disney Animation Studios’ best work. 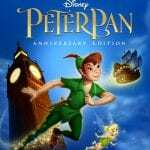 An embodiment of the spirit of imagination itself, the Peter Pan narrative, initially written by J.M. Barrie, is universally special. When paired with Disney storytelling, the result is pure magic. In Disney’s iteration of this project, we find superb world-building perhaps better than any other vintage feature of this era. Never Land is an iconic archetype, and its portrayal as somewhere to escape to, find joy in, learn about oneself, and return home a changed person is an intriguing, enlightening motif. Peter Pan simply radiates joy, with its visual craftsmanship just as stellar as its script. It’s always a double-edged sword reviewing re-releases of Disney classics. While there is an abundance of material, most of which is great, it’s also important to assess how much of it is actually new, and how much of it you already have if you own a past release of the movie. 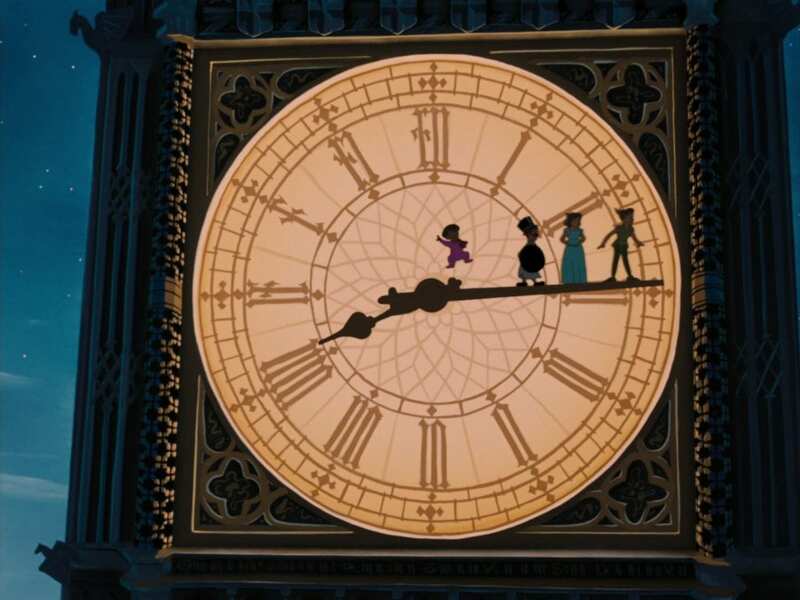 Since Peter Pan is such an established part of Disney culture, there has been no shortage of re-releases over the years, each one bringing an added assortment of behind-the-scenes material. The Signature Collection includes most of the bonuses from all of those releases. While each new edition over the years wasn’t drastically different from its previous iteration, over time its gradual additions amounted to quite a lot of material. This means that the value of the new Signature Collection to you will entirely depend on when you last purchased Peter Pan. The new bonuses for the Signature Collection amount to 16 minutes of new footage, which admittedly isn’t very substantial. 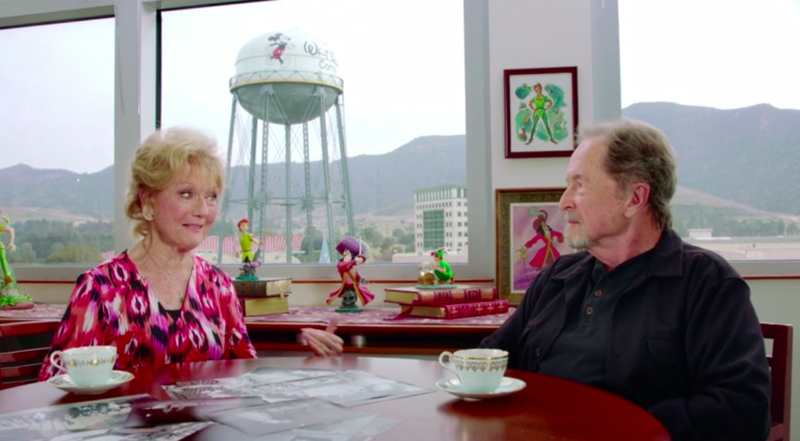 The definite highlight is “A Darling Conversation With Wendy & John,” a sit-down with Kathryn Beaumont and John Collins, the voices and live-action models for the characters. They reminisce mostly about the atmosphere of the studio lot and working with Walt Disney, and hearing their memories are a real treat. Also new is “Stories From Walt’s Office: Walt & Flight,” a further episode in an ongoing series among other Signature Collection titles delving into the personal life of Walt Disney. Because of Walt’s often-spotlighted passion for trains, I wasn’t aware he was also highly fascinated by flight, so most of this material, while brief, was new to me. Rounding out the 2018 updates is a disposable pair of motion-graphic lyric videos for “Never Smile At A Crocodile” and “You Can Fly!,” which are well done I suppose but add little value to the set. Everything else is carried over from past releases. The most significant behind-the-scenes centerpiece is the audio commentary. Hosted by the late Roy Disney and including contributions from film critic Leonard Maltin, Disney author Jeff Kurtti, voice actress Kathryn Beaumont, live-action model Margaret Kerry, animators Frank Thomas, Ollie Johnston, and Marc Davis, and even Walt Disney, it repeats a lot of information (sometimes even the same audio clips) as other content elsewhere in the bonus features, but has plenty of time to elaborate on its subject matter much more. Since most of the commentary discusses the film in general and not the specific scene appearing onscreen at any given moment, this actually feels more like a podcast, but that’s not a bad thing. Its best parts include a wonderful bit in which Thomas, Johnston, and Davis get each other laughing while fondly remembering animating their characters, and an eye-opening clip in which Walt Disney candidly reveals some of his dissatisfactions with the film not capturing the same emotional depths as Cinderella. If you don’t watch anything else, view the audio commentary. 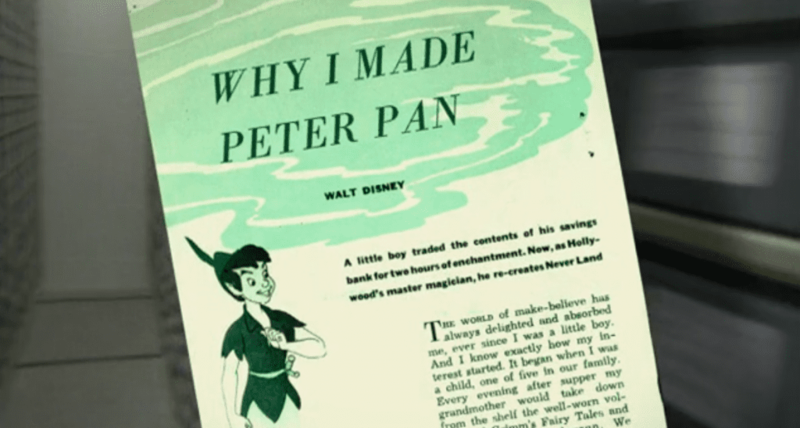 “In Walt’s Words: Why I Made Peter Pan“ narrates prose written by Walt from a 1953 magazine article and pairs it with dramatic live-action recreations from Walt’s youth about why the story is important to him. It’s quick, but enlightening and well-done. Deleted scenes are given significant focus. Some are presented as stand-alone sequences, but most are presented in a guided tour by Disney Animation directors Ron Clements and John Musker (The Little Mermaid, Aladdin, Moana). They help provide context and keep our attention much better than standard deleted scenes might. The meatiest piece in the set is “Growing Up with Nine Old Men,” a 40-minute documentary created by Theodore Thomas, animator Frank Thomas’s son. It has little direct relation to Peter Pan, but gives exponential context to the Disney studio during the era in which the film was made. 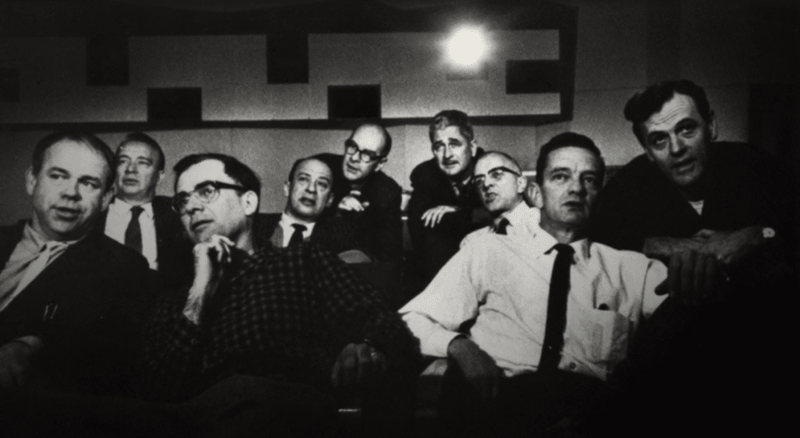 Peter Pan was the final movie to include all of Disney’s famed Nine Old Men as directing animators. This documentary focuses on interviews with those animators’ children discussing their unique childhoods, having unique, eccentric Disney artists as fathers. Some children were floored with their upbringing, while others wished for normalcy. The difference in perspectives is extremely intriguing and makes for an excellent documentary. Three remaining featurettes are disposable. “The Story of Peter Pan“ is a vintage ’50s promotional piece that puts the film in context with storytelling since the beginning of time… an interest concept, but admittedly boring. “You Can Fly! The Making of Peter Pan“ is circa 1998 and hasn’t aged well. It’s interesting, but repeated information if you watch the commentary. 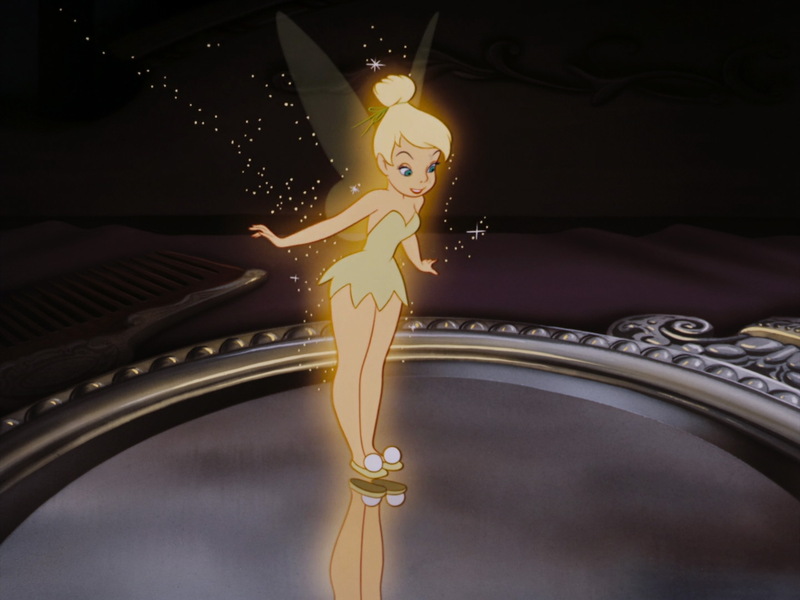 “Tinker Bell: A Fairy’s Tale” is pure fluff, initially made in 2007 to promote the then-upcoming Disney Fairies film series. Good for a laugh but nothing more, two music videos are included, both produced in 2007 and just about as cringey as you can get. “Second Star to the Right” performed by T-Squad (yeah, I don’t know) and a deleted song “Never Land” performed by Paige O’Hara (the voice of Belle) both have terrible production quality and feel more like parodies than actual music videos. Disappointingly absent is the 1951 television special The Walt Disney Christmas Show, which aired to promote Peter Pan and is spoken about multiple times throughout the bonus features as a significant step in the film’s production process. To aid you in your purchase, here’s a list of everything included on the Signature Collection release and which edition it initially debuted with. This can help you compare what you already own to aid your decision on if you want to upgrade. Ultimately, I’d say if you don’t already own the film digitally, this makes an excellent release to do so, ensuring ownership of the film on any platform you like without the limited use of a disc. If you already made the digital leap in 2013 with the Diamond Edition, there is little new for you in this release. While “A Darling Conversation” is exquisite, its eight-minute length hardly justifies an entire new purchase. The longer these re-releases roll on and as modern media continues to advance to a streaming age less reliant on physical discs, I wonder how long these ongoing Disney editions can last. In all honesty, at this point we have an exemplary abundance of behind-the-scenes content for every major classic Disney film. We have almost reached a glass ceiling for backstage content for these films. What’s been produced over the last two decades for these series is so thorough, giving fans nearly everything they could possibly ask for. This leaves the Signature Collections with minimal new footage that feels like they’re scraping the bottom of the barrel in terms of originality. Rather than grab erroneously and struggling to create quality new content for each new release, it could be best to either leave things as they are, or re-invent existing material to be consumed via different mediums. I believe Disney’s streaming service debuting in 2019 will be extremely telling of the company’s long-term model for home video releases going forward. If the service includes most Disney animated films and those films are accompanied by their bonus features, the future of these Blu-ray sets will drastically change, perhaps even canceling them altogether. The current model just won’t be sustainable. As it stands, right now it feels like each Blu-ray re-release just goes through the motions. Wouldn’t the “Darling Conversation” piece make an excellent podcast? Aren’t the oke lyric videos better suited for consumption on YouTube? Disney isn’t meeting modern consumers where they’re at, and instead limits its reach by expecting consumers to continue to purchase on dying platforms. It feels as if we might be living out the final days of the famed “Disney Vault” and its back-and-forth re-releases, though I could be wrong. Peter Pan is a no-brainer purchase as a delightful, iconic animated film. The difficulty comes in discerning how much new bonus material warrants to re-buy. Regardless, the film is nearly perfect, the extras collectively are abundant and captivating, and I’ll take any chance I get to celebrate how special it is. 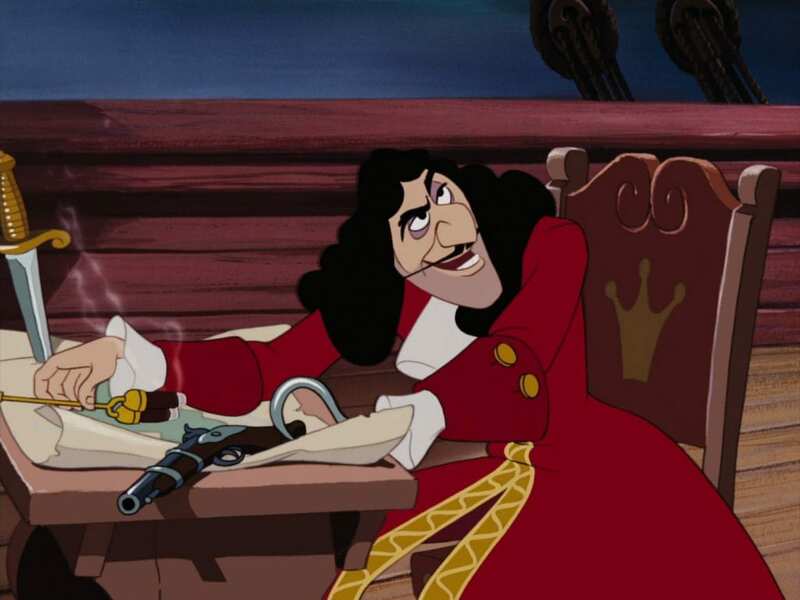 Animation Addicts Podcast Episode 97: ‘Peter Pan’ – It’s the Peyote! Is Peter Pan one of your favorite Disney movies? Will you buy the new Walt Disney Signature Collection?